Canadian Prime Minister Justin Trudeau and Mayor of London , among bazillions of others, tweeted that the incident was “heartbreaking”. US President Donald Trump called it “horrible” and offered the helpful suggestion that “perhaps flying water tankers could be used” to extinguish the flames. Granted, humans on the receiving end of French colonial oppression or of the Catholic church’s long history of crimes might fail to detect a common cause. 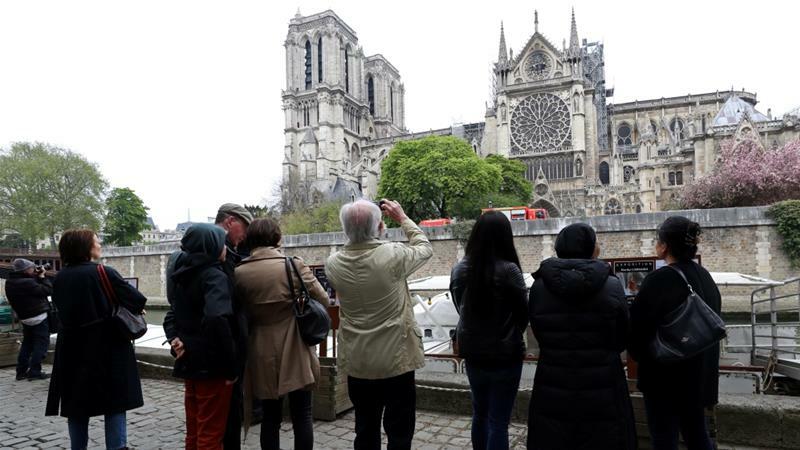 I’m not going to argue that it’s impermissible to lament the demise of historically and globally significant architecture – or that anyone shedding virtual tears on behalf of Notre Dame automatically doesn’t give a damn about other global causes. But the magnitude of blaze-induced grief is nonetheless unsettling given that far more serious human tragedies rarely elicit such a level of international “heartbreak”. Nor has Yemen found itself to be especially heartbreaking on the international scene, despite being under continuous assault by a Saudi-led coalition. Though the country does attract split-second attention here and there – as when a US-supplied bomb slaughtered 40 Yemeni children on a school bus last year – there’s been no sustained collective weeping over reports that, since the start of the Saudi onslaught in 2015, 85,000 children may have died of starvation. To be sure, it’s pretty emotionally straightforward to grieve – in social media solidarity – over a Very Symbolic Building, one that has been firmly established in the international consciousness and visited by loads of fellow humans, particularly those belonging to social classes that possess the economic wherewithal to travel. And while former US president Barack Obama somberly re: Notre Dame that “it’s in our nature to mourn when we see history lost”, it’s apparently not in our nature to mourn when we drop 26,171 bombs on the world in a single year – which is what Obama did in 2016 and which would seem to constitute a destruction of history in its own right. Whatever your own attachment to Notre Dame might be, the fact that such tragic realities don’t elicit the same raging empathy as a cathedral fire is a tragedy unto itself.